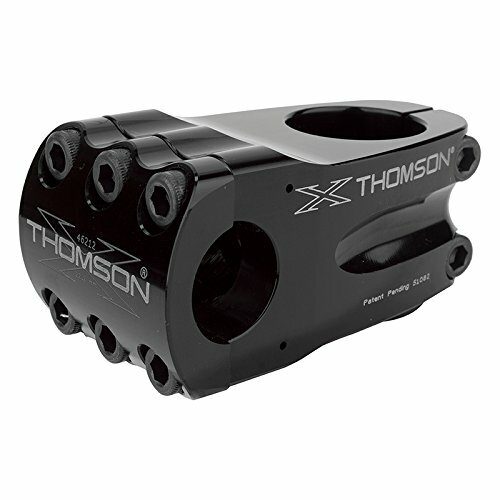 Thomson Elite BMX 22.2 Bicycle Stem (1-1/8 x 0-Degree x 50 x 22.2 BMXmm, Black) by Thomson at Joes V Cycle. MPN: 2681515000_Schwarz. Hurry! Limited time offer. Offer valid only while supplies last. CNC machined from 1 piece 7000 series aluminum . 48mm wide 6-bolt faceplate. 180 degree internal cotter. Zero rise. CNC machined from 1 piece 7000 series aluminum . 48mm wide 6-bolt faceplate. 180 degree internal cotter. Zero rise. 190g. If you have any questions about this product by Thomson, contact us by completing and submitting the form below. If you are looking for a specif part number, please include it with your message.